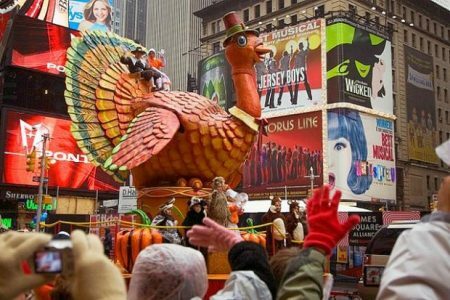 Airlines for America, the trade group representing the interests of U.S. airlines, has released its forecast for the Thanksgiving travel period, between November 18 and November 29. The big picture: U.S. airlines are expected to carry 27.3 million flyers over the holiday, 2.5 percent more passengers than last year. The three heaviest travel days, busiest first, are: Sunday, November 27; Monday, November 28 and Wednesday, November 23. Unsurprisingly, the lightest day will be Thanksgiving day itself, Thursday, November 24. On the busier days, planes will be running close to 100 percent full, especially on more popular routes. And security-screening at the busiest airports will be stressed to the breaking point. Travelers for whom comfort is a priority will want to avoid flying on those days, if possible. If you don’t have the luxury of contrarian timing, however, do what you can to eke as much comfort and peace from the flight experience as you can. Some tactics that have proven themselves over the years: (1) Book early flights to increase the odds of being accommodated later the same day in the event of a cancellation. (2) Travel to/from secondary airports. (3) Avoid checking bags if possible, and (4) To avoid the coach crush, use miles to upgrade or pay extra for premium economy. To read more at Smarter Travel, click here.